Kansas guard Ochai Agbaji (30) helps up Kansas forward Dedric Lawson (1) after Lawson hit a three from the corner during the second half, Wednesday, Jan. 9, 2019 at Allen Fieldhouse. He waited 14 games and 9 weeks to finally play, and then had to wait 4 minutes and 9 seconds longer to actually get into a game. From there, it took Kansas freshman Ochai Agbaji just 10 more seconds to make an impact that was felt throughout Allen Fieldhouse long into the night during the Jayhawks’ 77-68 victory over No. 25 TCU on Wednesday. On his very first official play as a Kansas Jayhawk, Agbaji cut hard near the top of the key and curled around the left side of the lane with nothing but open air in front of him. As he soared toward the rim, freshman point guard Devon Dotson floated a soft pass toward him and Agbaji did the rest, catching and dunking in one fluid motion for his first points of the season. 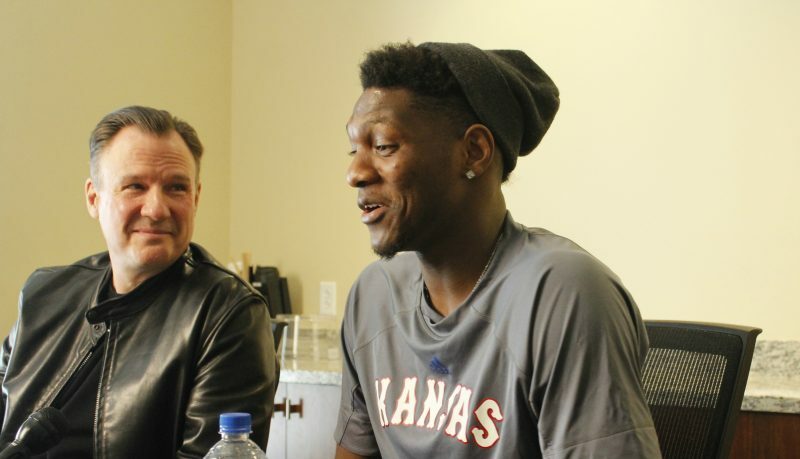 The KU freshman’s father was in his native Nigeria on Wednesday, celebrating his own father’s 80th birthday. After his debut, Agbaji said he was hopeful his pops was watching on TV and added that he was looking forward to talking to him about the big night. 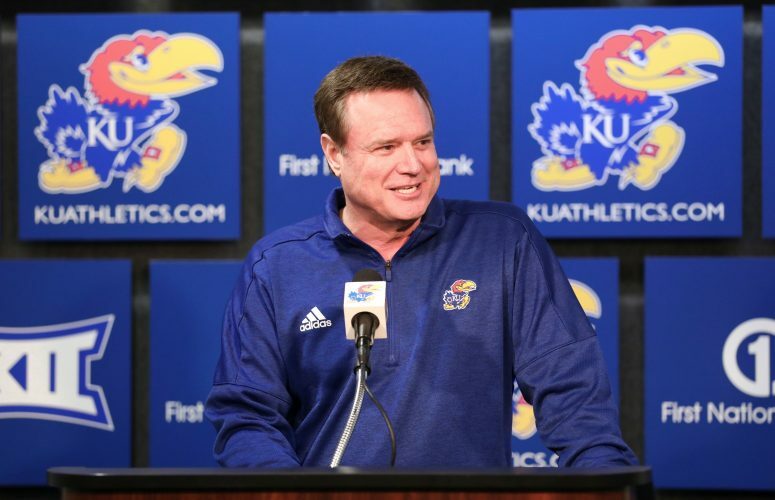 Kansas coach Bill Self, however, did enough to fill the role of proud poppa after Agbaji’s impressive debut. Although Agbaji had never run that specific lob play that helped him crack the scorebook, he had guarded it enough times in practice to know what to do. He even had an inkling that it might be coming when he checked into the game. 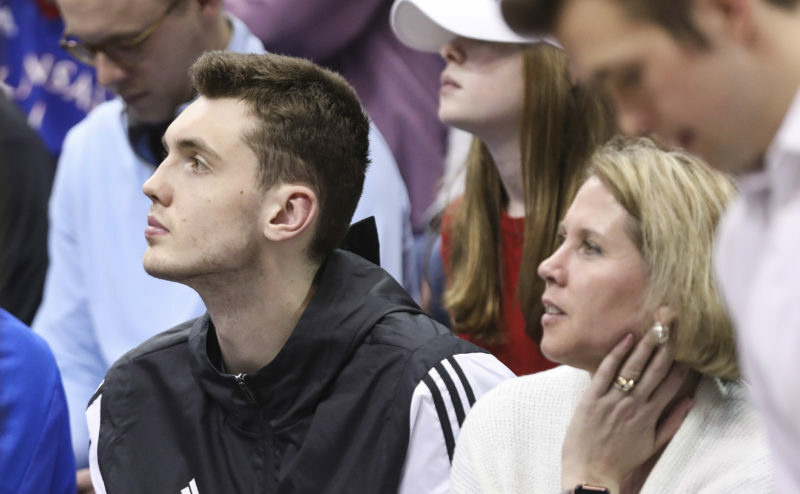 While her son said after the victory that he still needed time for the whole experience to sink in, mom left Allen Fieldhouse with two main takeaways. The first was how much more Agbaji communicated while on the floor. “He never used to do that,” Erica said. By night’s end, the athletic freshman from Oak Park High in Kansas City, Mo., had dotted the stat sheet with all kinds of contributions: 7 points, four rebounds, two steals, one block. 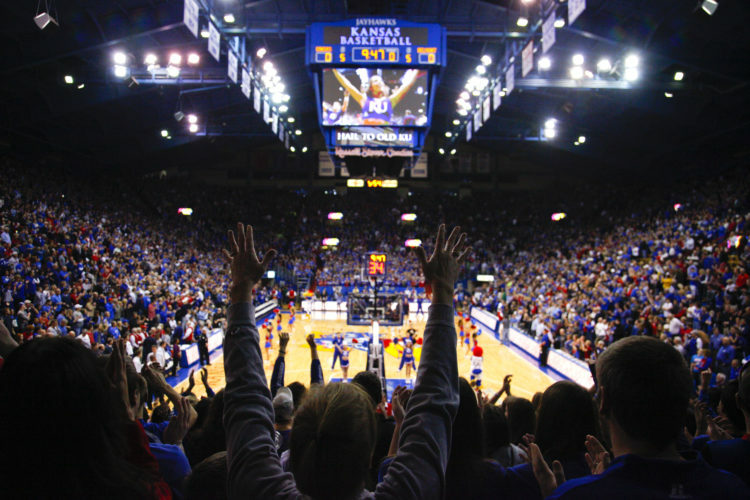 And while each was big in its own right and at a particular time, the collective nature of all of it together was something that sure looked like it could play a huge role in the way the rest of this Kansas basketball season plays out. “He played great,” said Lawson after dropping 31 points and 14 rebounds to help lead Kansas (13-2 overall, 2-1 Big 12) to victory. Asked what aspect of Agbaji’s game impressed him the most, Lawson, who also said the freshman sparked the energy of the entire team, pointed to his poise. “The way he looked so comfortable out there,” Lawson said. Agbaji’s first action came at the 15:51 mark of the first half when he checked in for Marcus Garrett (8 points, 4 rebounds, 3 assists in 35 minutes and a starting role) during the game’s first media timeout. 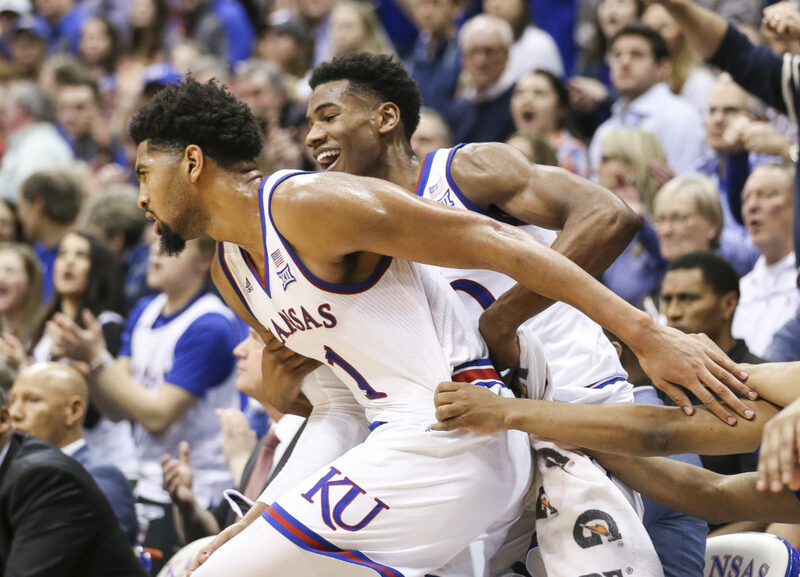 Any notion that Agbaji’s first game in a Kansas uniform would be short-lived, designed only to give him a taste of what’s to come, was quickly put to bed during that first stint on the court. In a little more than seven minutes of game time, Agbaji had scored 4 points on a pair of lobs, grabbed a couple of tough rebounds, encouraged quick and precise ball movement on every possession, and even picked up a steal at the top of a new-look, full-court press. The freshman was not without his tough moments on Wednesday. But, at least on this night, even his missed shots, tough fouls and moments of confusion were heavily outweighed by his positive contributions and much-needed willingness to flat-out compete. After scratching and clawing for everything they got during the first 17 minutes — a 2-point lead seemed large in Wednesday’s first half — the Jayhawks closed the half on a 14-5 run and played some of their best basketball in the process. Lawson scored 7 points during the stretch — 5 from the free-throw line — and Lagerald Vick added 5, including a 3-pointer that also included a little Agbaji flare. With the Jayhawks leading 29-28 with just over three minutes to play in the half, Vick surveyed the defense at the top of the key and elected to pull up for a 3. A split-second before he did, Agbaji made a hard back cut to the basket on the left wing and pointed up to the rim as he slipped by the flat-footed defender. Vick went up to shoot before he saw him and the shot went in anyway. But it was yet another example of the effect Agbaji can have on this Kansas offense. 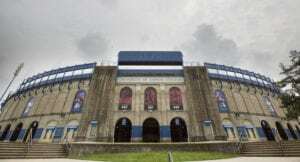 While a lot of the night was about Agbaji and the newfound energy and electricity this KU team played with, there were a few reminders of old reliable. And most of them came from Lawson. Much like his spurt late in the first half that gave the Jayhawks separation at the break, Lawson flashed a similar solo run midway through the second half that turned a 53-50 nail-biter into a double-digit lead for the home team. Lawson scored 10 of his game-high point total during that stretch, including a 3-pointer in front of the KU bench that came after he turned down a forced jumper at the elbow and a spinning scoop shot along the left side that, yet again, showcased his body control and soft touch. 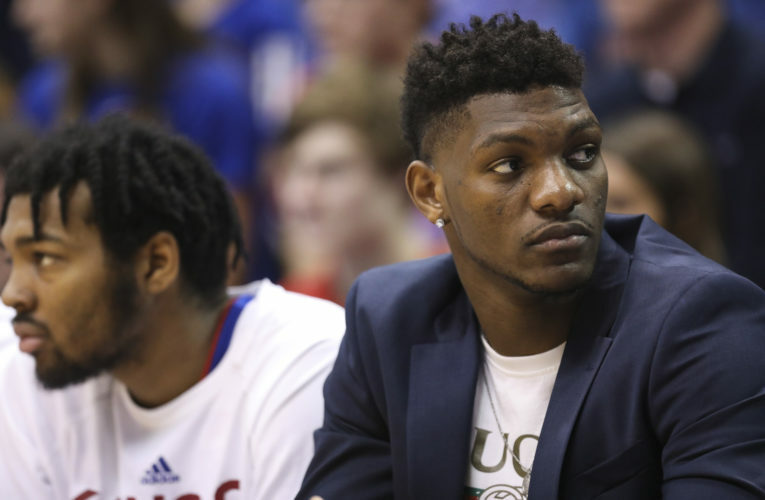 Lawson also flashed a little of his rugged side when the Jayhawks needed it most, scoring a tough bucket in the post to put Kansas ahead of TCU (12-2, 1-1), 70-65, around the 3-minute mark and grabbing a tough rebound on the ensuing possession.